Embrace the glamour of the Brera sofa from the Daytona range by Signorini & Coco. Handcrafted by skilled Italian artisans, classic Brera sofa is the perfect way to add statement style within your living space. The traditional design is upholstered in soft, luxury leather with the embossed Daytona logo featured on the backrest cushions. The arms and base are upholstered in a contrasting quilted leather for a stylish, contemporary seating solution. The padded cushions are filled with a soft goose down ensuring maximum comfort. 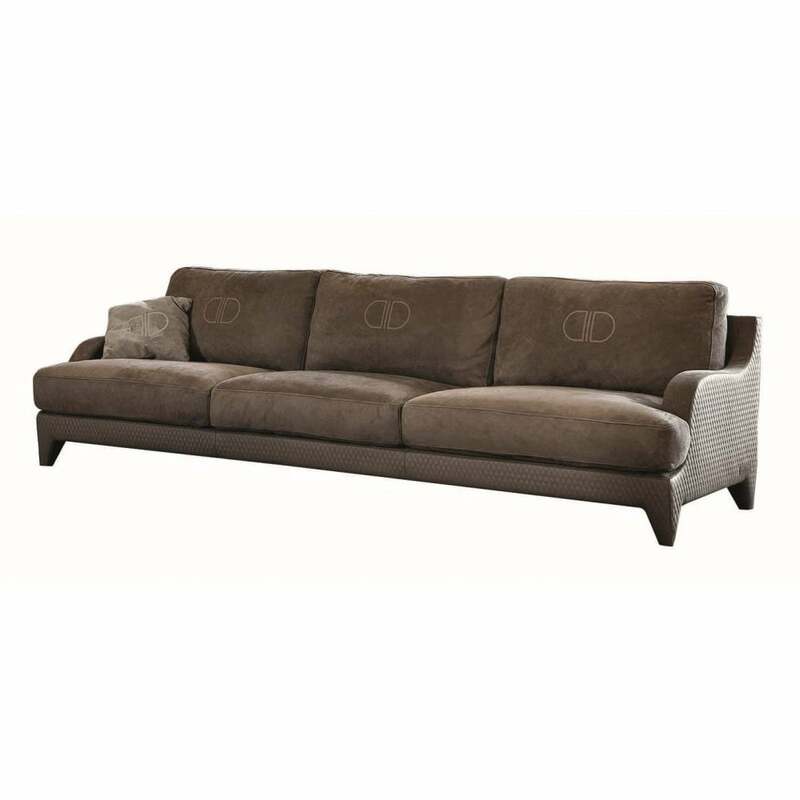 Style in your living room with other pieces from the Daytona range by Signorini & Coco. The Brera sofa is available in a range of fabrics and finishes to choose from. Contact us for a bespoke quotation.